Peanut Ladoo Recipe with step by step photos. Peanut Ladoo Recipe is a super duper healthy recipe. Peanut ladoo has three ingredients. Peanuts, jaggery and cardamom. Peanut and jaggery both are superfoods, especially during winters. Peanuts are loaded with good fats so it makes your tummy feel full very quickly. Jaggery acts as a detox and aids in digestion. You will get approximately 70 calories by consuming one ladoo! 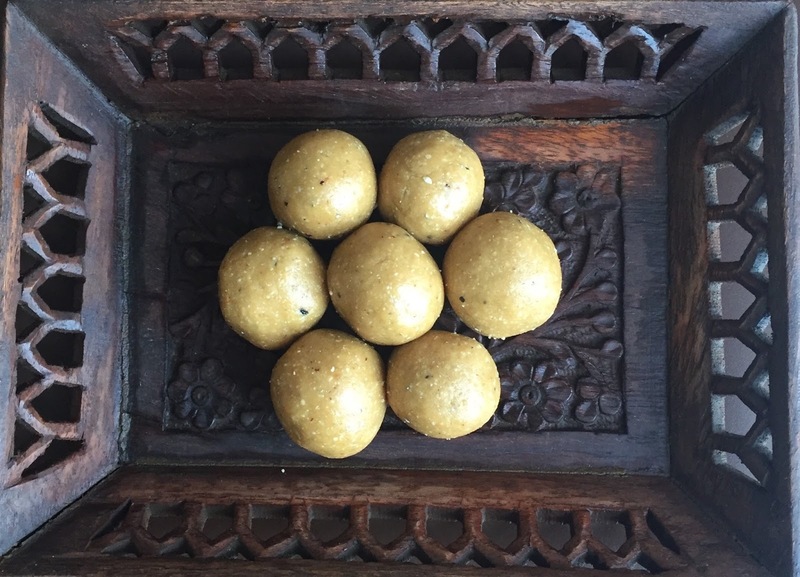 So yes these Ladoos will help you in maintaining weight as well! Peanuts also contain monounsaturated fatty acids. They help in maintaining the glowing skin and create a balance between good and bad cholesterol in the body. Peanut Ladoo Recipe is the simplest ladoo recipe. The reason I am calling it simplest is that it requires minimal cooking and minimal work for hands as well. Roasted Peanuts are blended with powdered jaggery and cardamon. 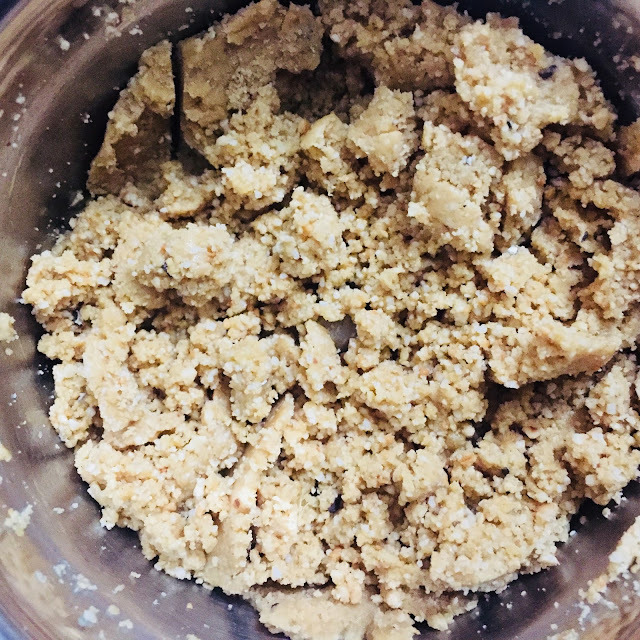 This mixture is used for shaping ladoos. Yup, it is that easy! The mixture will start combining in the blender only. So, of course, its very very easy to shape peanut ladoos. Easy quick recipe + so many health benefits! Its definitely a must have during this winter. Do try this recipe at home and don't forget to share it with your loved ones. If you are looking for more ladoo recipes then check out Coconut Ladoo Recipe, Besan Ladoo Recipe and Boondi Ladoo Recipe. Here goes step by step Peanut Ladoo Recipe..
Dry Roast peanuts on low flame. Let it cool down. Deskin it when it is warm and not so hot. Put it in a blender with jaggery and cardamom seeds. Blend it for about 8-10 seconds. Stop for a while. Repeat it until the mixture starts combining. Take some mixture in your hands and start shaping them into round bite-size balls. 1. Take 1/2 cup Peanuts. 2. Dry roast them on low flame. 4. Put Peanuts in a blender. 7. Blend for 8-10 secs. Stop for a while. 8. Blend it again. The mixture will start combining. 9. Transfer it to a plate. 12. Similarly, shape all the ladoos. Store it in an airtight container. The shelf life of this Peanut Ladoo is really good you can easily keep it for 2-3 months. Don't forget to share your experience with me in the comment section below.